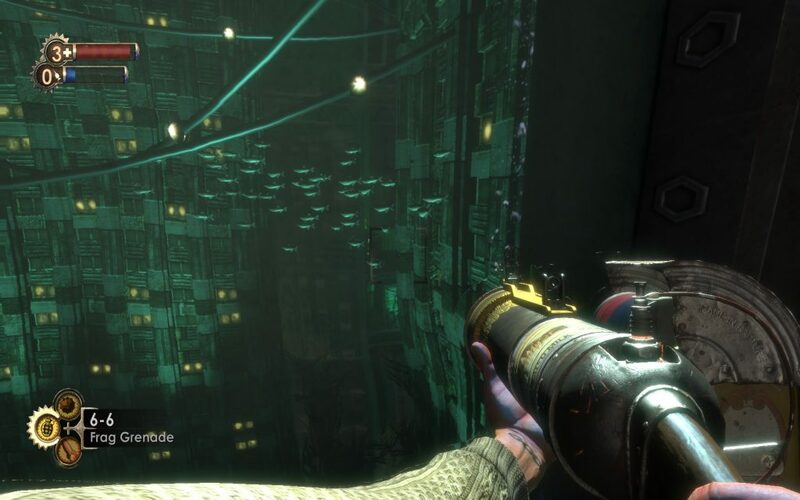 BioShock was supposed to be one of the most thought-provoking games of the 21st century… It received glowing reviews by critics and, more importantly, gamers alike. Almost 10 years after it came out, I finally got around to playing it. And I was looking forward to it. Sadly, despite the great premise, in the end it was nowhere near the level the hype suggested. Absolutely nowhere did the game particularly shine – neither in the pure mechanics, which were quite standard for first-person shooters of late, much less in the story which was almost universally praised as one of the best stories gaming has ever known… I can only conclude the people saying that have never played any games with real depth like Xenogears/Xenosaga, or even considerably simpler things like Final Fantasy X. The fact that BioShock is so highly regarded only shows how shallow and lifeless gaming has become since the beginning of the PS3 era. 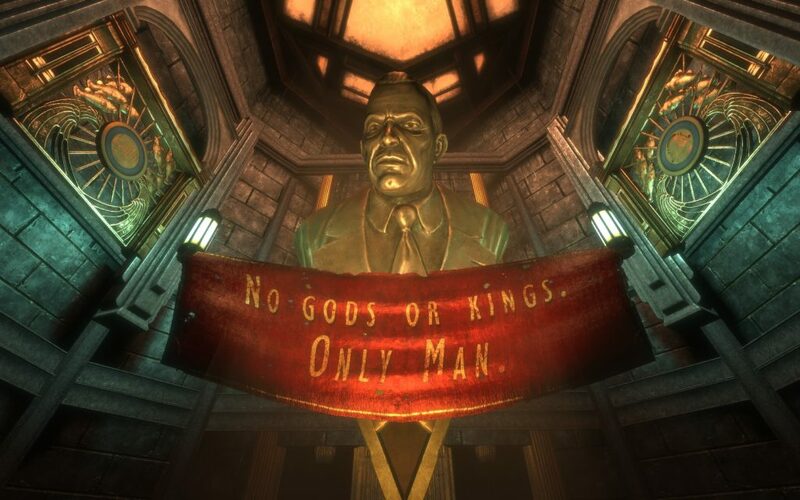 The BioShock story starts in an interesting, even magnetic way… A group of people led by an apparently wealthy individual named Andrew Ryan gets so dissatisfied with the Cold War nonsense of the post-WW2 world that they decide to build their own city… at the bottom of the Atlantic Ocean. Ryan rejects capitalism, communism and religion alike, choosing to create a libertarian would-be-paradise called Rapture where the world’s best people would have a place away from the burdens of society. Naturally, things don’t turn out as well as Ryan had wanted, and in the beginning of the game, the player finds the city on the brink of ruin – a mere shell of its former glory days, full of zombie-like junkies (called “splicers”) for you to destroy. As I already mentioned, the game’s story fails to live up to its potential. It kind of reminded me of Final Fantasy XIII in this regard, except FFXIII, most character and enemy models aside, at least looked staggeringly pretty. Of course, there are some twists, but they are quite predictable if you pay attention, and even if you don’t, they wouldn’t have as much of an impact as the developers thought they would. 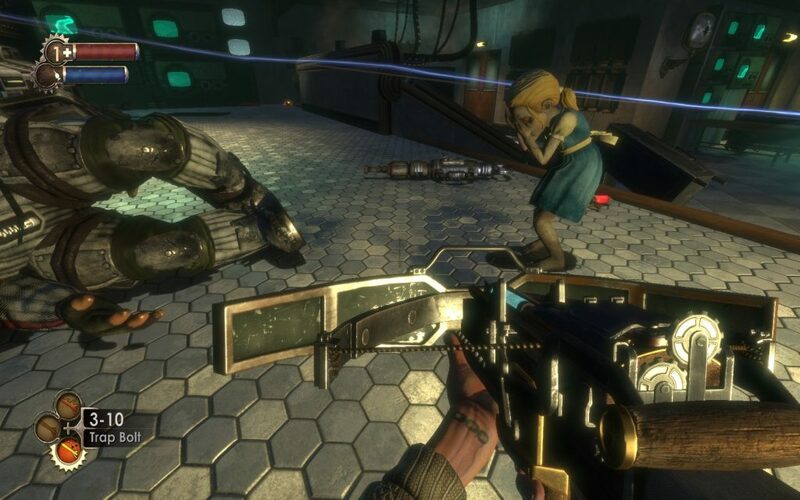 In fact, one of the best things about the game, Little Sisters, wasn’t even part of the original plans… Only came up later when they decided to make the game more appealing to the player’s conscience. Furthermore, the characters are pretty boring. The best ones can’t even really be called characters – the generic Big Daddies and Little Sisters… Even Ryan, despite the nice premise at the start, doesn’t turn out to be nearly as interesting as one would expect. 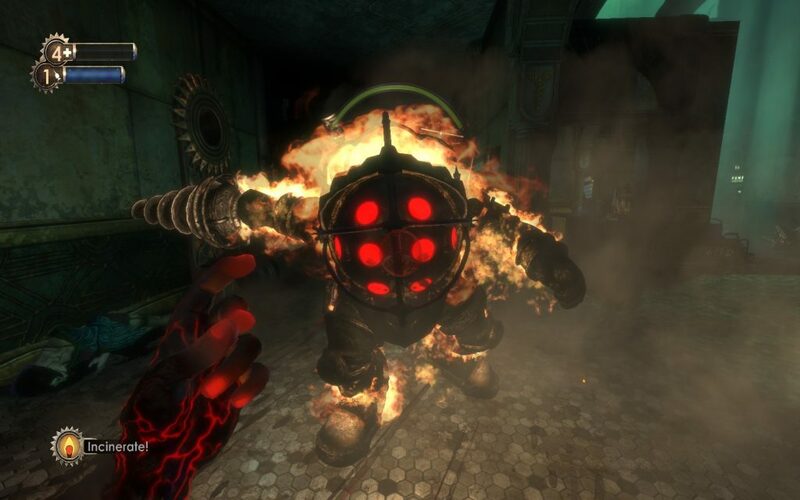 BioShock’s gameplay is solid overall, it’s typical modern FPS mechanics with nice character customisation quirks in “plasmids” which give you active (Fire, Ice, Telekinesis, etc.) and passive (more Health and EVE (i.e. MP), more resistance to damage, etc.) abilities. The problem comes when you’re nearly halfway done, and you’ve already got some nice abilities for your character… Then, the game just becomes too easy. Sure, you can still die if you’re complacent enough, but the dollar (used to buy items and ammo) and ADAM (used to buy plasmids and improve your character’s abilities) flow never stops, and you can keep getting stronger and harder to kill… I stopped upgrading at some point, a bit later than halfway I think, to keep some challenge in the game, but it didn’t help much. And even if you do die… The game’s got this incredibly stupid system where you’re resurrected nearby, and the enemies are still as damaged as they were when they killed you. So you can basically just randomly screw around and occasionally fire, and you’ll still kill them eventually. 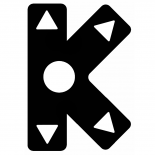 Any child who can look at the map to navigate the levels, can beat the game with ease. You find dollars just lying around and loot them from enemies you kill, but ADAM is only available through Little Sisters. In the levels, you occasionally encounter Little Sisters, guarded by gargantuan Big Daddies. They usually don’t touch you, but if you choose to attack the Big Daddy, he’ll fight back fiercely. Big Daddies are the strongest enemies in the game, and can take quite a few hits before they die. For maximum enjoyment, just save before you fight them, and load to redo the fights until you win. If you just let yourself get resurrected and keep sapping their health until they eventually die, it’s no fun. 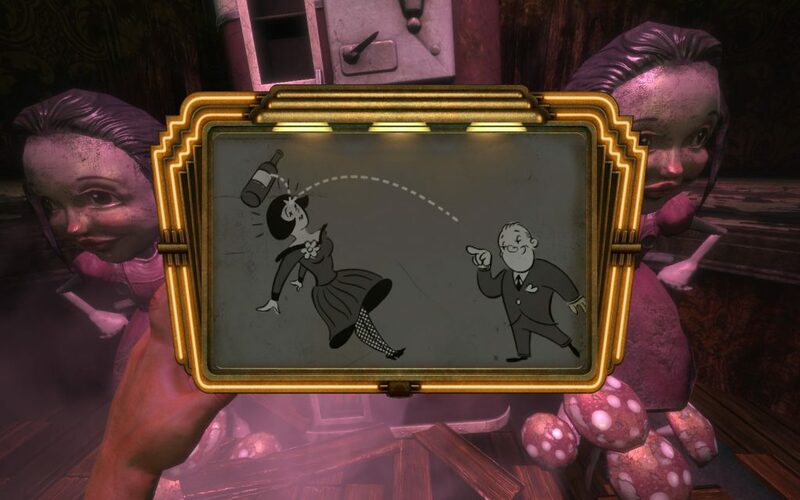 Anyway, once you kill the Big Daddy, his Little Sister falls into despair and starts crying for him… Then you approach her and can choose to Harvest (i.e. kill) or Rescue her. 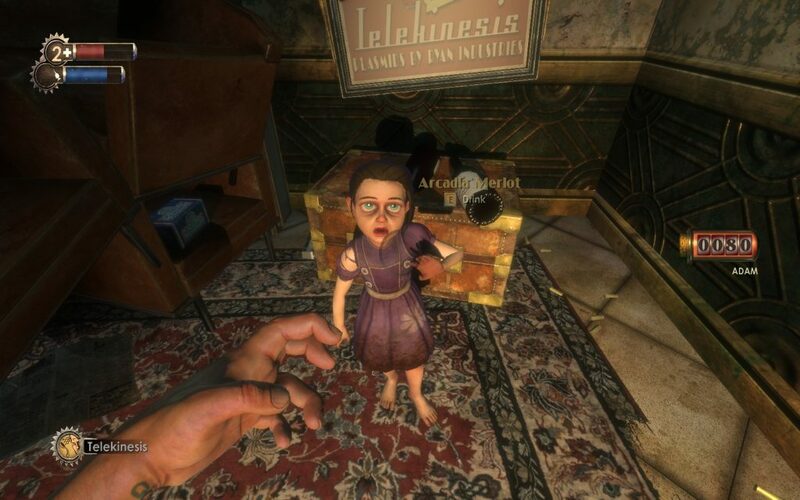 Rescuing grants you less ADAM (but, as I mentioned above, still more than enough to make your character overpowered…), but it’s obviously much more satisfying to have the little girl liberated from the living hell Rapture’s scientists imposed on her. There are only 3 or so bosses in the game… The final boss being the most noteworthy one. Even he is easy. The others are merely beefed up versions of splicers you encounter elsewhere. There’s a rather annoying, but also somewhat fun hacking game – you can hack vending machines to make items cheaper, or drones and turrets to make them fire at enemies instead of you. A big part of the game is the explorational aspect. You’ll learn most of the background story through tape recordings you find scattered around levels. It’s moderately interesting, but nothing really special. 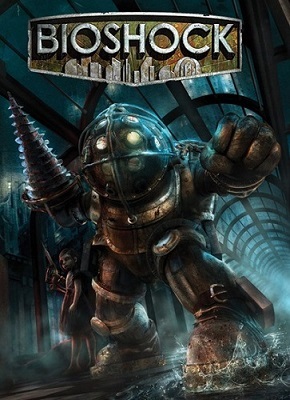 The beginning of BioShock with the burning airplane, the debris, and the ocean around looks quite pretty, as well as the underwater city background… There are also numerous relatively nice visual references to the post-WW2 era. But, even though I played the Remastered version, I’m not as impressed with the levels themselves. Of course, it’s to be expected – the city is in ruins not only metaphorically, but also very physically. 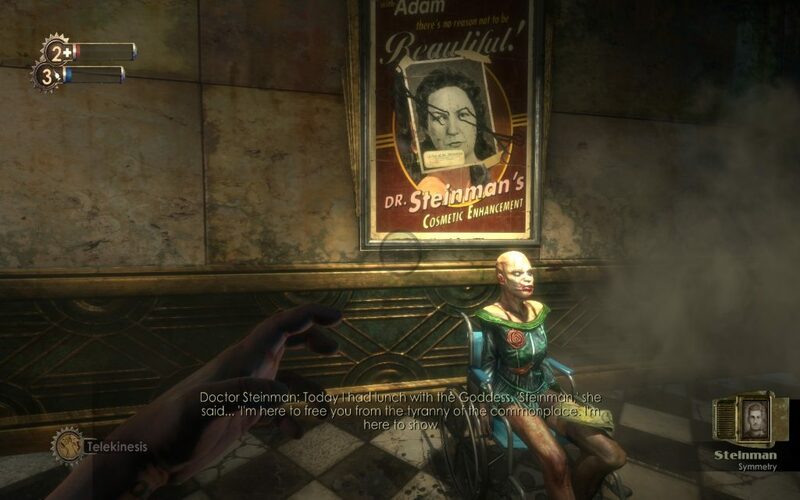 But I’m positive it would have been much more interesting to get a glimpse of Rapture when it was thriving. Character models are quite grotesque. Of course, this is also done with a clear purpose – to illustrate the ADAM addiction and the desperate state Rapture’s residents have fallen to… But it’s a bit too emphasised for my tastes. 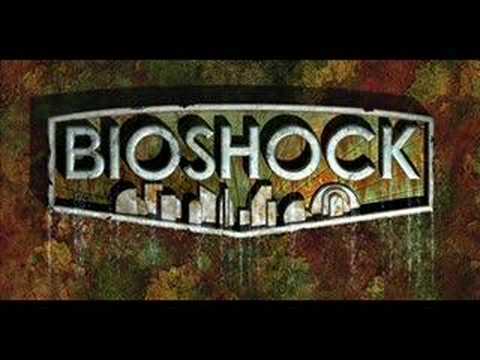 The music of BioShock is entirely forgettable. It’s mostly like a generic Hollywood movie background score. Still, I had to choose something to represent the soundtrack, and it’s “The Ocean on His Shoulders”, which is a tad above the overall level of the music. 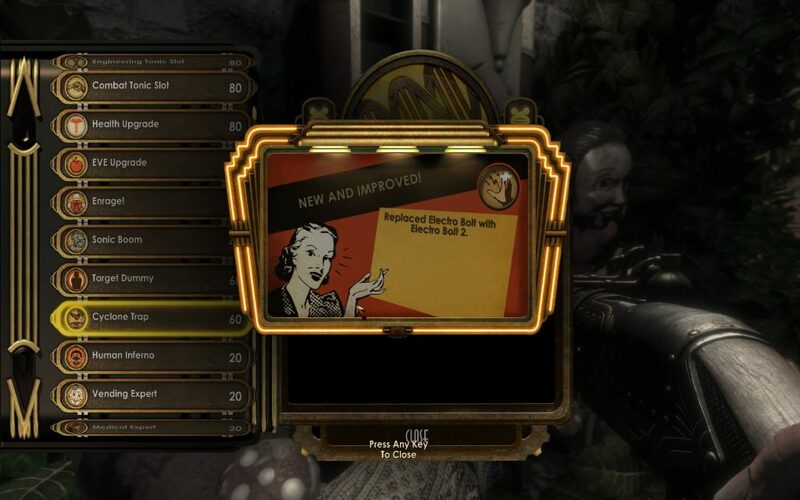 BioShock is lost potential. There’s no excuse for coming up with such a nice premise, and then almost completely failing to deliver. I can’t in good conscience say it’s worth the playtime. I was looking forward to playing the whole series, but I’ve given up after this game – supposedly the best one of the three. The biggest problem is that the story fails to engage. In the end, what is this game’s message? That all noble ideas eventually turn into dystopia? That we ought to embrace society as it is instead of dreaming of a better future? That we should focus on the small good things we can do (saving the Little Sisters) and accept that we can’t improve the world (as Ryan wanted to)? But is that really something to aspire towards? In a way, yes. But your life must have a higher purpose, an ideal to strive towards – whether you manage to eventually achieve it or not.